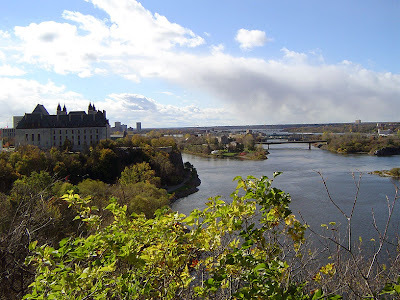 I spent Saturday at a conference in Gatineau (the City Formerly Known as Hull), and then on Sunday I took the whole afternoon to be a tourist in Ottawa. Bill and I had driven through it on our way back from Crotch Lake this summer, but it was raining and we didn't get out of the car. 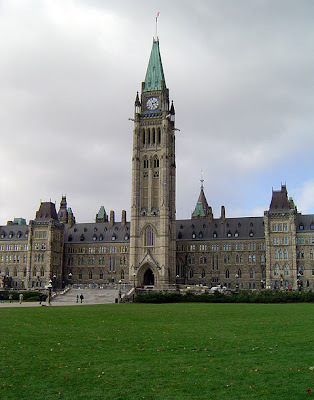 Now I know that the Parliament Buildings are much more impressive when you get out of the car. I hope the tourists visiting from warm places appreciated the 15 minutes of fame SNOW on Sunday. Nice of the nation's capital to generate snowflakes just for its visitors, isn't it? I'm blaming that little snowfall for the fact that after I finished walking up and down Wellington and Sparks streets, I headed straight to Yarn Forward and bought enough sock yarn for two pairs of socks and a pair of Double-Thick Mittens. And then, before ending my little trip and heading back home, I managed to incorporate the two things I miss most about Ontario: Michael's (more sock yarn) and Smartfood (three big bags -- Bill and I immediately devoured one, and I've squirreled away the other two). No Michaels or Smartfood in Quebec? I didn't realize! 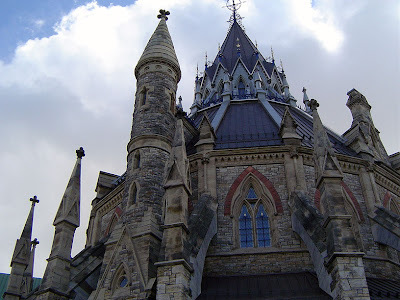 I've only seen the Parliament buildings in passing myself, at night during the holidays. We were visiting my husband's family and drove through. They were lit up beautifully, though. 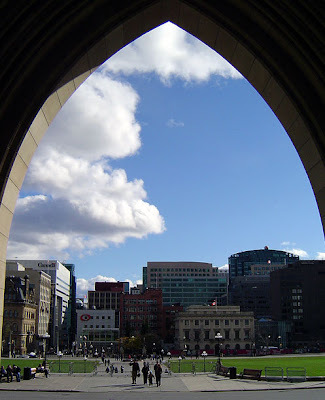 I hope Ottawa stays beautiful for when I visit mid-November. My childhood was invested there and now as a 'grown up' I'm hoping to go do the touristy thing again with more appreciation this time! Ooh, I want to go on another road trip!! Nice photos! What sock yarn does Michaels have? I'm off to one tomorrow! ohhh, you can't get Smartfood in Quebec, that would explain why I can't find it anywhere! lol, some things I've found you just have to really search for in Montreal, so I hadn't given up on it yet - but I will now add Smartfood to my list of things to buy while home over Christmas! you can totally get smartfood in quebec. possibly only in smaller bags. but i snack on it regularly. Ottawa's purdy :) Love Michael's--it really does have a surprisingly good selection of sock yarn. And there's one near here, thank god. bummer.. you were in my neck of the woods....! i'm glad you enjoyed it. and you've reminded me of the good things i forget about since i live here. Weird- I was just in a Pharmaprix downtown and they had a whole rack of Smartfood by the cash. But maybe Snarsh is right and it's only a small-format thing. 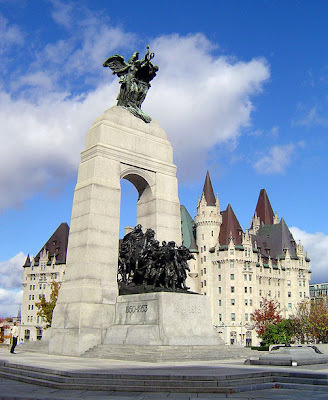 Ottawa is on my list of places I want to visit.